Leave the box out, or stuff it in a bin and hope that your DH (who was aware of the purchase, but would perhaps be startled by the sheer volume) wouldn’t stumble across it? I’m making my first Sweater Wizard sweater — you know, the software where you plug in your measurements and pattern specs and it generates a pattern for you. So far? It seems like it will be flippin’ ginormous. Even though when I do the math, it works out fine, I cannot shake the feeling that It’s not going to work out so well. And the bummer with raglans is that you’re back to square one if it doesn’t fit. At least with seamed sweaters you usually don’t have to rip every piece…. 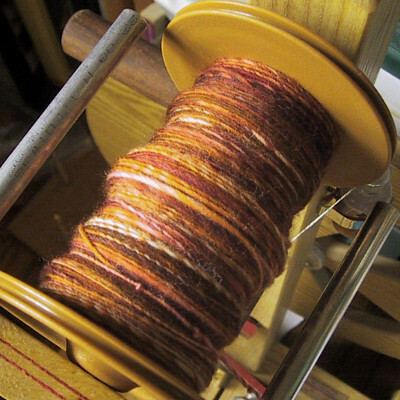 If you’re a knitter and you’ve never attempted the Fiber Trends clog pattern, you should. I’m just sayin’. 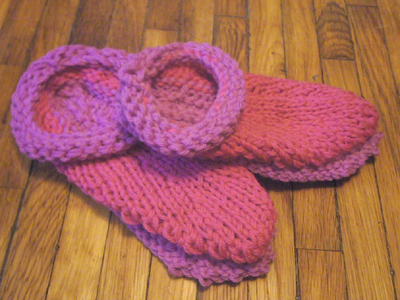 When I knitted my first clog, I swore a lot and cursed the fact that I’d have to make a second. But, like with socks, once you understand the construction they’re oddly addicting. This is pair #10, I think. For my sweet niece. 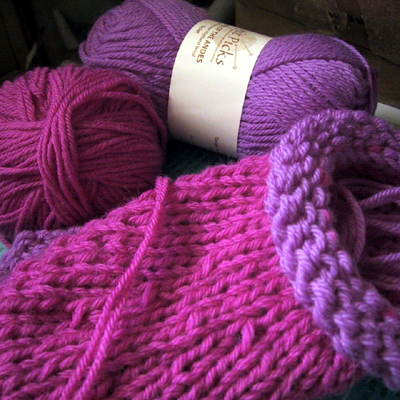 Knit in KnitPicks’ Wool of the Andes — one ball of tulip and two balls of violet, with yarn to spare (I knit the kids’ medium size). 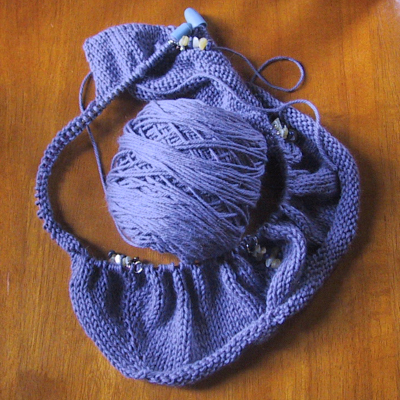 And speaking of KnitPicks, have you seen? 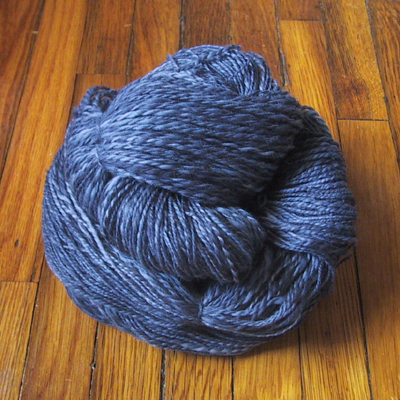 They’re now offering a bare superwash DK yarn. And the description implies that there will be a Swish DK available as well. Ack! Now I can knit Merry Maiden and not have to spend a mint!! 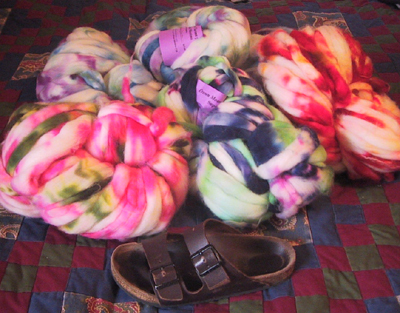 I just ordered an embarrassing amount of superwash merino from CMF, so I thought I ought to get to work on some that I already have. That’s Brown Eyed Girl — got it for Christmas. I spun this a few weeks ago (and finished plying last weekend) for the lovely Lisa P., who left our office for greener pastures last week. 😉 Really, she took a very cool and important job elsewhere, and while we miss her a lot, we’re so happy for her. I learned that Lisa was also a knitter in a roundabout sort of way — one of my job responsibilities is to sort through web filter alerts, 99.9% of which are ads or dumb keyword things. 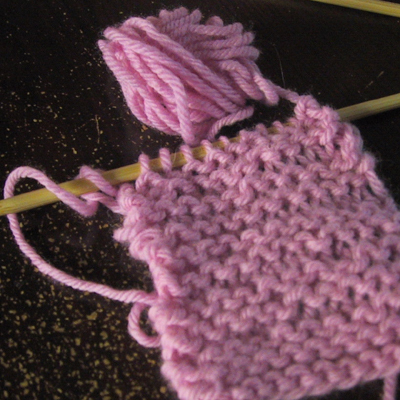 One day I noticed that a bunch of knitting things were being blocked — Knitty’s hardc0re, for one — and I couldn’t resist looking up the IP to see who was trying to access it. And it was Lisa! A longtime knitter! Who knew!